Hopefully if you are reading this there are two things you like. The first thing you like is anime; because why read this review if you do not like anime. The second thing is action and violence in anime. If neither of these are too your taste then read no further, it will not interest you. Now recently i watched the anime Terra Formars , I would like to offer my quick opinion on what i think it did right/wrong. A quick summary of the show is that it covers an expedition of soldiers to mars, who have been enhanced with the powers of bugs allowing them to combat mutated cockroaches. These cockroaches were put on mars , along with some algae, to make the planet habitable for humans. In the years these cockroaches were left alone they mutated into caveman like creatures. The creatures look appropriately muscular for mutated super creatures. The one issue i have with their design is their head and faces. 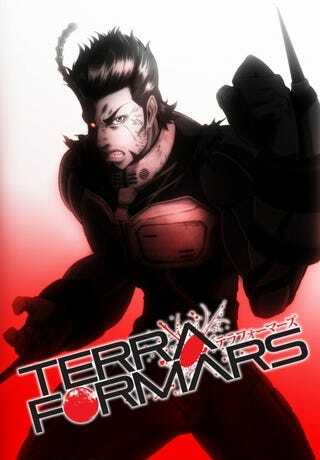 The eyes of the "Terraformars" as they are called, seemed to me as if they were a pair of tiny glasses. That small detail made them seem too comical too me. There was something about their face in general that off put me and i couldn't take them completely seriously. Depressed. Everyone of the characters is depressed. It seemed as if every character had a sad back story as to why they were willing to risk their lives on mars. It seemed as if every episode revealed another sad childhood or dying loved one. One character who i had never seen before started to spout off their story of a dying child as they were carried away. These sad back stories all served to deepen the connection i felt to the characters. I desperately wanted them to survive and return to their loved ones. A particularly poignant back story involved a man who had lived a life of torture from researchers and betrayal at the hands of loved ones. All these back stories are nice , but they lead to a problem of pacing. Too many times the back stories would take up precious time from battles. Specifically during the middle of the series i found myself screwing around with my phone as i watched ( a grave offense i seldom commit while watching anime). Despite that stumble in pacing, the end of the show is action packed and ends at a great starting point for (Hopefully) another season.